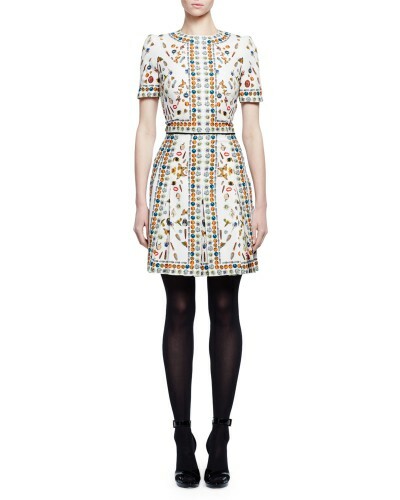 This silk dress features McQueen's Obsession talisman print with a jewel neckline, short sleeves, and an a-line sort. Kate's dress has been lengthened from the product image. Retail: $2,995.